In a major setback to the Tamil Nadu Chief MinisterJ. Jayalalithaa, a Supreme Court bench of Justices K.S. Radhakrishnan and A.K. Sikrihas orderedher prosecution to be started by the Income Tax department before the Additional Chief Metropolitan Court, Economic Offences-1, Egmore, Chennai, for failing to file income tax returns during the years 1991-92, 1992-93 and 1993-94. If convicted, she will have to undergo a punishment of minimum 3 months imprisonment and maximum of 3 years and fine. While rejecting her argument that there was no income and no tax evasion and therefore non-filing of income tax return was not an offence, the apex court bench directed the trial court to complete the trial in four months. According to Section 276CC of IT Act, if there is willful failure on the part of a person to provide the return of income in due time which he is required to furnish under section 139 (1) or by notice given under Section 142 1 (i) or section 148, he/she shall be punishable, - (i) in a case where the amount of tax, which would have been evaded if the failure had not been discovered, exceeds one hundred thousand rupees, with rigorous imprisonment for a term which shall not be less than six months but which may extend to seven years and with fine; (ii) in any other case, with imprisonment for a term which shall not be less than three months but which may extend to three years and with fine: Provided that a person shall not be proceeded against under this section for failure to furnish in due time the return of income under subsection 139 (1). The Bench did not accept Ms. Jayalalitha’s argument that the appellate authority in appeal had evaluated the tax liability of the firm at zero, interpreting the entire prosecution malicious and the responsibility to file returns would arise only if there was taxable income. And that it would not be a criminal offence, if there was no income or there was no tax evasion, non-filing of returns. 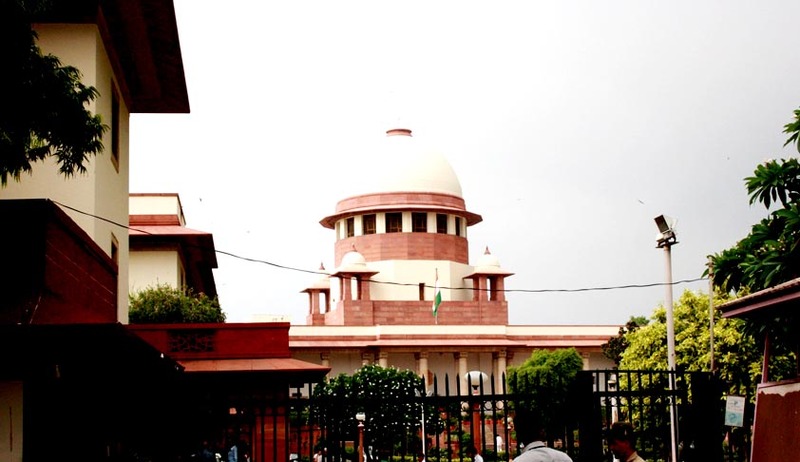 The Bench further added that the section itself provided for deferred filing of returns in cases which were genuine but the counter affidavit filed by the I-T department showed the negligent procedures adopted by the appellants and it was an offence as the non-filing of I-T returns was not genuine. Since there was no ground to interfere with the judgment of the High Court, the Bench dismissed the appeals. Jayalalithaa, her close aide N. Sasikalaa and Sasi Enterprises, of which both were partners, had filed a batch of appeals against a Madras High Court judgment which rejected their plea for discharge from three cases, has also been dismissed by the apex court bench. In 1996 and 1997, besides launching criminal proceedings against Jayalalithaa for her failure to file income tax returns for the assessment year 1993-94, though she had taxable income, the department also filed cases against her associate Ms. Sasikalaa and Sasi Enterprises for 1991-92 and 1992-93. The discharge applications filed by Jayalalithaa and Sasikalaa were dismissed by the trial court. Following which they approached the Madras High Court, which also dismissed the appeals filed by them.Consequently, stating that the trial would be conducted on a day-to-day basis, the court directed the two to appear in the court on January 29.